Humans have always been inspired by the idea to capture a moment in time—fortunately, through the magic of photography, photos have given us a way to achieve it. 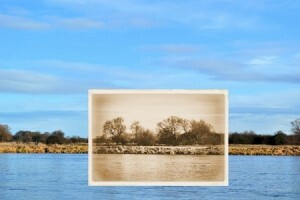 While we can always look back on our pictures and reminiscence, there is also something magical about recreating a photo. It allows us to see how far we’ve come or make a deeper connection to that original moment. Check out these inspiring, funny, cute, and touching photo recreates to see how these people were able to recapture the magic of a single moment in time. It was a photo that was half a century in the making. Four U.S. Marines gather in front of a yellow longboard to recreate a photo they had taken together back in 1966. The marines were stationed at Camp Pendleton at the time, right on the brink of the Vietnam War. Once they were shipped overseas to join combat, they were separated and lost touch. Fast forward to today and the group happened to reunite through the power of the Internet, and the have one awesome photo to show for it. 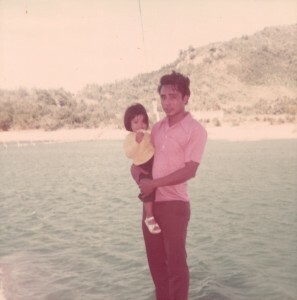 Jeri with her father in 1974 during Jeri’s first visit to the Philippines where her family is from. Some people were born to take photos. As soon as they feel the magic of capturing a single special moment, they’re hooked forever. This is how it was for ScanMyPhotos customer Jeri Yamamoto the first time she picked up a camera. “I’m one of those people—I’d always be the one to take all the photos, develop them right away and organize them in photo albums. I’m 44 now and have amassed over a 12 thick photo albums—we have so many that we needed to put them in the storage unit while we remodeled our home. With so many photos, and no place to put them, Jeri decided it was time to take action. With her new project in mind, Jeri set to work researching the best way to scan all of her photos. The moment she started, ScanMyPhotos was the first company to show up in her Google search results, but she continued to search. While she scoured the web gathering information, Jeri continued to circle back to ScanMyPhotos. 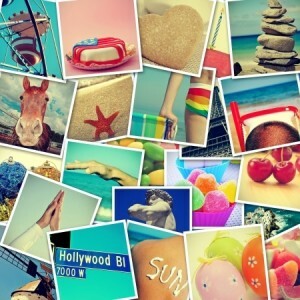 Do you dream of becoming an Instagram star? Well, good news, you can gain a healthy group of followers within just a few weeks! The first step to becoming an Instagram star is creating a profile name—and it doesn’t hurt to use real stars as an act to follow. Most big-name celebrities are lucky enough to snag a handle that’s their first and last name—or single moniker, if you happen to be @Beyonce. If your name is already taken (which is a likely scenario) consider creating a nickname. Stars like Sean Diddy Combs went with @iamdiddy, while Ashley Benzo uses @itsashbenzo. On the famous photographer front, National Geographic photographer Ira Block goes by @irablockphoto and celebrity photographer Michael Muller uses @michaelmuller7.